They come for free entertainment and Vietnamese food, and to connect with their cultural roots. But unlike the friendly games at home, they can leave empty-handed or bankrupt. With a mounting toll of broken marriages, neglected children and high-technology thefts, are the economic benefits of gambling outweighed by its societal costs? 'CEEVIT! CEEVIT!" a small Asian man calls to a passing waitress, a call echoed by three others crowding the same card table. "Service," replies the waitress, accustomed to the accent and broken English, and deftly jotting down the orders. One man, who could not pronounce his order in English, points to an item on a menu: bun bo hue, an strongly flavored Vietnamese noodle soup recognized as an acquired taste even among native diners. Flanked by a gift shop, a swank restaurant, a deli-cafe and a ballroom, the palatial Bay 101 card club exudes a general feeling of greatness from its perch alongside the Brokaw exit of Highway 101. In the gaming area, colossal columns rise from a faux-marble and carpeted floor, supporting a hangar-sized ceiling. The recent Vietnamese immigrants and Vietnamese-Americans, who comprise the majority of patrons, crowd the gaming floor and jam each other three-deep around the tables. The interest in the cards hangs as heavy as the cigarette smoke mingling with the aromas of hamburgers and steaming, exotic food. Despite their numbers, the new immigrants look small and lost in the pastel cavern, which can hold 2,000 people. A woman in her late 50s, wearing a flowered pajama-like suit, a popular style in Vietnam, drifts from table to table, finally settling on a stool near a wall. A dazed exhaustion fills her face. 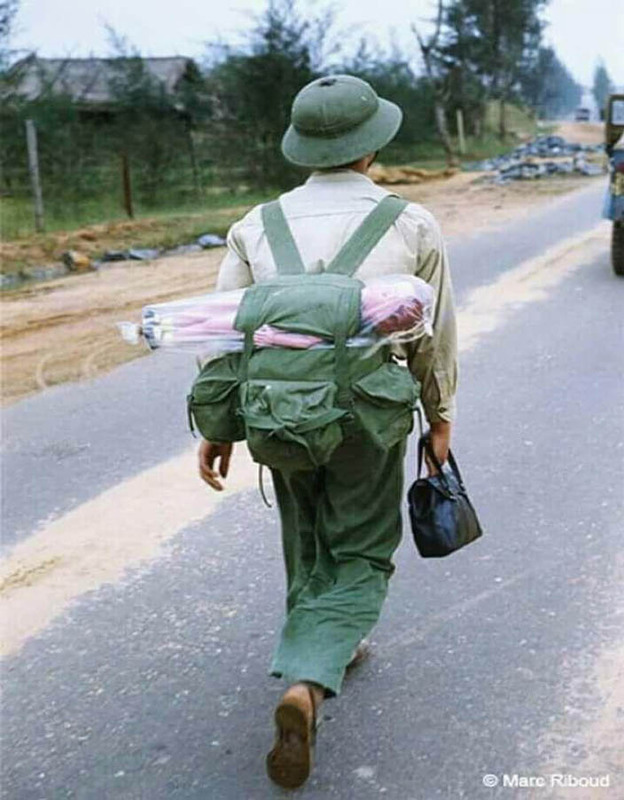 Her Vietnamese husband finds her and asks how much money she has left. She opens her fist and hands him about $20 in chips. He goes off to play. Young Vietnamese men swarm around card tables, playing in groups. Some look as though they are still in their teens, but in their hands are beer bottles and hundreds of dollars in chips. They are almost as boisterous as the women, who chortle at each other over turns of luck, bicker over indecisive playing and talk at top volume. In the high-stakes area, a quarrel erupts between two female players and it takes two managers five minutes to calm them. BAM! A DICE CUP slams the velvet of the table for Pai-Gow, a Chinese tile game adapted to cards. A woman shouts a word of benediction in Chinese, waves the cup above her head in elaborate curves, and pounds it on the table. Curses erupt around the table and a few grins crack wider. The woman gives a high-pitched yipe, then chatters excitedly to her husband as the dealer shifts the money. The lion's share--more than $500--goes to the woman. Vietnamese and Chinese-Vietnamese generally prefer to come to the card clubs together, usually in pairs, sometimes in groups as large as six. Husband and wife duos are common. Senior parents are frequently seen with their grown sons and daughters, who ante up the cash for their folks. Even without the energy of children, the place is a well of activity charged with adrenaline and money. Players move with a certain frenzied, yet constrained, energy; there is money to be won. There is lots of money if Luck is willing. If Luck isn't, there is always skill. It's a game. It's sport. It's green changing hands at a dizzying pace. People drink and eat at gaming tables to save their spots. Others without seats play standing up. People who do not play occasionally bet on the hands of players at the table. Some drift about, hoping to find a table where they feel lucky. Those who have gambled away their money seek out others who might extend a loan, payable on the next lucky streak or the next payday. Then there are a handful who sit in the corners and along the walls, wearing an expression of dazed exhaustion. Approximately 80 percent of the patrons this evening are of Asian descent, with the majority speaking Vietnamese. The next major group is Chinese. On an average night, Vietnamese and Chinese-Vietnamese comprise between 50 percent and 70 percent of the card clubs' patrons (as observed during 20 visits to both Bay 101 and Garden City at various hours and days over a six-week period). Asians account for 17 percent of Santa Clara County population. Since 8pm, a steady stream of well dressed Vietnamese-Americans has trickled into the club for the free live band and dancing in the ballroom. A few stray onto the gaming floor. N. Nguyen, a former Vietnamese nightclub manager, says many Vietnamese and Vietnamese-Americans are lured to Bay 101 to see the free accompanying shows, featuring acts that normally cost $10 to $20 in a Vietnamese nightclub. The program usually features a live Vietnamese band and a DJ. He estimates that Bay 101 spends between $2,000 and $3,000 per event, above and beyond security and facility costs. He notes that Bay 101 does not offer similar venues for other ethnic groups or non-Asian card players. A regular, Nguyen notes that the free weekly event at its peak drew a wall-to-wall crowd in the ballroom. About two months ago, Bay 101 suddenly stopped its Thursday night special for a few weeks, then started it again. Nguyen speculates that the management wanted to see the correlation between the program and cardroom attendance. ACROSS TOWN, 49-year-old Garden City appears like a sprawling alpine complex with dark woods and vaulted ceiling. Smoky and quietly serious, with a band jazzing in the lounge, old timers say that Garden City reminds them of Las Vegas in the '60s. Tonight, Asians account for 50 percent of the club's population, a drop from the days when it was the only game house in town. Still, there is enough business to keep all the tables operating. Like Bay 101, Garden City has two sections, one for "American games" the other for "Asian games." Even on the American side, Asians and Asian-Americans make up 20 percent to 30 percent of the clientele. On the other side, they pack a solid 90 percent. A man in a black leather jacket and baggy slacks circles the room, pacing to and fro behind the railing, scouting out the action in the pit. Now and then, he rushes to the railing to watch intently at a table as a few hands are played out. He helps himself to a free cup of coffee at a refreshment station and resumes his vigil. The man calls himself Fred and speaks on condition of anonymity. He also requests that his ethnicity be simply noted as Asian-American. Fred has been gambling for 12 years. He was a technician before he quit five years ago to play cards full time. He barely makes enough to keep himself playing and counts himself one of the better professional players. "It's an aggressive game [poker]. First you look for a soft game. Then you gotta push, push, push," he says in English, with just a trace of an accent. "These guys are new. Most Asians don't know how to play. They talk too much. Not a whole lot of mind games." He indicates several Asian men who are drinking and joking while they place bets at the card table. Fred neither drinks nor smokes. He says both interfere with thinking. "You start low and work your way up from the $1 table to the $100 table. You can come in here with $10 and walk away with $10,000. I've done it once." Fred often spends as much as 18 hours a day in the clubs. He supports himself during his "bad streaks" by doing odd jobs. He works full-time as a house player for one of the card clubs in the Bay Area, where the club gives him between $100 and $300 to keep a table going for about six hours. He declines to give the exact amount, fearing that he might be identified by his employer. "I didn't get this job because I'm good. I got it because I'm reliable. Most of these gamblers aren't reliable. They don't show up when they're supposed to. I'm always on time, and I keep a table going. On a good day, I win one or two hundred bucks. That's on top of what the house gives me [to play]. Not too bad for a couple hours. On a bad day, I'll be down a hundred of my own [money]." Later he confesses that sometimes on a good day his adrenaline gets going and he plays several more hours at other clubs after he gets off his shift. Like tonight. More often than not, he loses what he won earlier during the day. Fred claims he knows his limit, though he admits he can't quit and he can't see himself quitting in the foreseeable future. Fred spots a soft game, signals to the pit manger for the next vacant seat at that table, and takes another refill of coffee. Soon a woman rises from the table empty-handed and melts into the crowd. Before his name is called, Fred is already on his way down the ramp into the gaming pit. ON THE FAR side of the room, behind a glass partition carefully watched by an Asian security guard, a crowd of about 30 hedges tightly around the two high-stakes tables. There is one white male in his late 20s at one table. He is on a winning streak, three games in a row. Everyone else is either Vietnamese or Chinese, including the pit manager and the dealers. The crowd of this inner circle dresses better than those in the general gaming area. Hundred-dollar chips stack in thousand-dollar columns in front of each player and shift quickly around the table. Standing at the edge of the crowd, transfixed by the game, is a small attractive woman in her 40s. She appears tired and sleepy. An hour later, she retires to a reserved table in the club's small restaurant. She identifies herself only as Mai-Ly. A striking woman with a small frame and prominent facial features, she blames the gray at her temple and the dark bags beneath her eyes on gambling. Her manners are refined and she holds to them, even though she is shivering uncontrollably. She wears a disposable paper lab coat; the club hands them out to underdressed patrons when the air turns chilly. Her $500 leather jacket has just been stolen and pawned by a gambling acquaintance who drove her to the club 32 hours ago. Mai-Ly no longer has a car: She sold her luxury car last week, not to a dealer but to a card club loan shark. With her recent loss, it is not likely she'll see her car again. In three years, she has sold her mansion and moved into a condo, sold her business, emptied her bank accounts, cash-advanced all her credit cards to the limit, sold her expensive jewelry, and now owes money to several people. She owes one couple $1,500, which was due three days ago. They have given her an ultimatum and 12 hours to come up with the cash. "I told him, 'Oh, my God! I paid you all this money and you ask me that? If I knew, I wouldn't need you.'" She says she has gambled away a total of $3.6 million. Now she says she subsists and gambles on a bimonthly allowance from the trust fund her family has established for her. It all began three years ago, when Mai-Ly gave a woman friend whose car was in the repair shop a ride to Garden City. Mai-Ly had been to card clubs and casinos before. She says she occasionally played blackjack, roulette and the slot machines, but she was never "really hooked." She had just gone through a divorce in which her husband won custody of her children. She was depressed and vulnerable. Her gambling addiction began that day when her friend introduced her to Pai-Gow. Unfortunately on this first visit with her friend, Mai-Ly experienced a streak of beginner's luck. "It's the worse type of luck anyone can have," comments an experienced Asian-American pit manager who asked for anonymity. "The best thing that can happen to a beginner is that he loses big. Big enough to hurt really bad. That way he won't come back." THE DEPTH of gambling-related problems in the Vietnamese community remains a subject of debate. "The Vietnamese and Chinese gambling problem--if there is one--is only as big as the media wants to make it," a professor in the Asian-American Studies Department at San Jose State University maintains. The loudest concern, however, appears not to come from the media but from the Vietnamese community, which has noted the sharp rise in bankruptcy, divorce, child abuse and crime that followed the heavily-advertised opening of Bay 101, far in excess of the days when Garden City was the only club in town. During the weeks straddling its opening date two years ago, Bay 101 aggressively marketed itself on Vietnamese radio, television and newspapers, offering incentives such as free casino chips and Vietnamese entertainment. The results--steady capacity crowds of predominantly Vietnamese--evoked the ire of community leaders who criticized the club for mining the Vietnamese community. They pointed out that such aggressive marketing was not aimed at any other ethnic group, such as Hispanics, who according to the last census make up the largest minority group in the county at 21 percent . Diem Ngo, director of the Vietnamese Volunteer Foundation, admits, "We can't afford to be silent anymore. It seems as though everyone has a relative or a friend who has or had a gambling problem." While Vietnamese pathological gamblers, predominantly recent immigrants, do not corner the market on gambling addiction (historically, other European and Latin American immigrant populations have also had their share of compulsive gamblers), they do have two clear distinctions: their attitude toward gambling and their ability to sustain their addiction through friends and family. The typical Vietnamese immigrant's concept of gambling may also be naive compared to the reality of a casino. Although gambling is illegal in Vietnam, card playing is a national pastime for both adults and children. Friendly penny card games are more common than the familiar American "poker nights." Card playing is the equivalent of TV watching, particularly in rural areas, enjoyed more as a recreation than as a gambling activity. Also, Vietnamese gamble widely and almost frantically once every year during the New Year festival called Tet. This is the only time when significant sums, but not fortunes, are gambled in a popular dice game. However, this game is played almost exclusively during the New Year festival. The money gambled is often the New Year's cash gifts from family and friends--the equivalent of Christmas presents. Children are allowed to play along with adults. A Vietnamese pathological gambler can also wreak financial havoc on his family and friends who form an enabling network of support. Hieu Tran, social work supervisor of Santa Clara County, explains, "We [Vietnamese] have strong support systems. We often lend money to help each other. With Vietnamese, it is more common for people--especially the new immigrants--to go to their families, relatives or friends for a loan than to a bank. Why do you think we succeed?" But, on the other hand, when the system is abused, the effect can devastate all those involved. For instance, when H. Nguyen's husband gambled away their modest duplex in South San Jose, he didn't just lose the family's home and investment. He also lost $15,000 of his brothers' and sisters' money lent to him interest-free as down payment for the home. While the bank recovered its money, his brothers and sisters won't. "People call me regularly," says Diem Ngo of the Vietnamese Volunteer Foundation. "They want to know how they can help a friend or a relative who is gambling away his savings and home. Recently, a woman called. She wanted to know if there's a way to stop her brother-in-law from gambling away his house. Her sister was too ashamed to ask for help." One Vietnamese lawyer estimates that today 30 percent of his divorce cases are gambling related, up from 5 percent ten years ago. Other lawyers approached declined to comment on the grounds that it might jeopardize their clients' confidentiality and adversely affect their business. 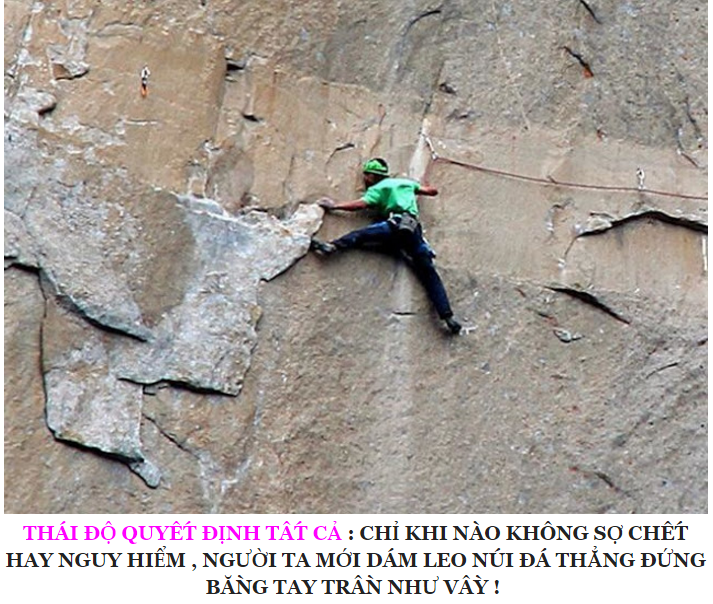 LAST WINTER, a Vietnamese husband and wife visited Bay 101. Leaving their young children in the car, they intended only to play a few hands of cards. The minutes became hours. The children fell asleep and woke up in the wee hours of the night cold and hungry. They began crying loudly. The sounds attracted clubs security who patrolled the parking. Security removed the children from the car and turned them over to police custody. After 13 years of social work in San Jose, Hieu Tran reports that in recent years the problem of child neglect stemming from gambling addiction has increased more than tenfold. 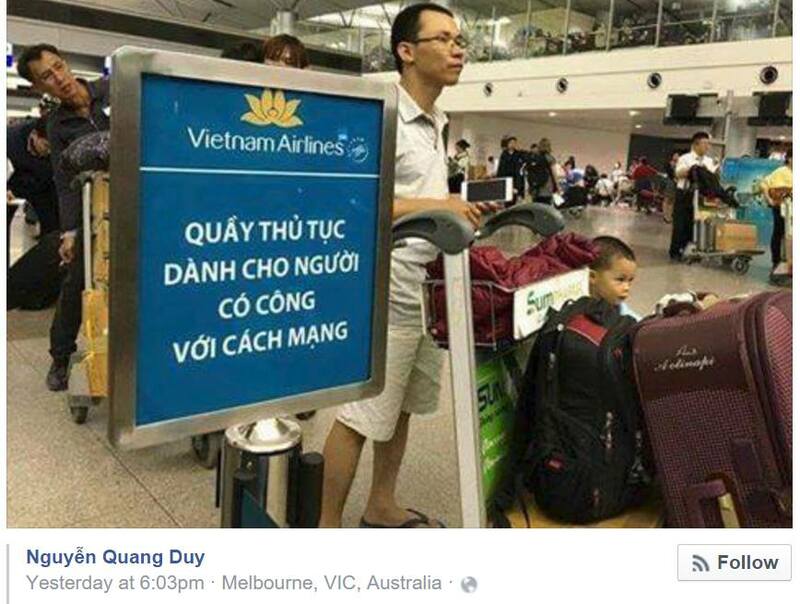 "Twenty percent of our Vietnamese case loads of child abuse and child neglect are directly linked to parental gambling addiction," says Hieu Tran, who estimates the statistic is closer to 3 percent for Caucasians and other ethnic groups. His office, he says, is hard-pressed to deal with the recent influx of reported cases. With the gamut of cases that come into his office, Hieu predicts the upward trend will continue. Child abandonment cases are also reported by neighbors who notice parents leaving children home alone, and by relatives who baby-sit children for days while their parents gamble. A more common scenario, Tran says, is where parents become stressed over their gambling losses and beat their children in anger. No matter how the children are referred to Social Services, the cases are expensive to the county. Each case is monitored by a caseworker for 12 months. There are court hearings, police reports, legal counsel, regular interviews and psychological evaluations. If the child is placed in a foster home the county, according to Tran, pays anywhere from $350 (for foster care) to $4,000 (for group home) per child, per month. "It is terrible what is happening to the Vietnamese-American here," he says. "There are no real, solid studies or statistics on what is happening to the community, but it's obvious. You just have to walk into Bay 101 or Garden City and it's right there in front of your eyes." The costs of pathological gambling have also hit the valley's high-tech industry. One source at a major semiconductor company confides that his company suffers significant losses due to employee theft, many of which are suspected to be gambling-debt related. Investigators report that Vietnamese and Chinese-Vietnamese pathological gamblers employed by the electronic industry have become targets for sophisticated Asian criminal organizations. In a recent sting operation, police investigators reported that members of criminal organizations frequented card clubs to befriend these specific gamblers and loan them money to play. The paybacks come in form of information: company electronic stock, security systems, guards, shipping schedules and employees' work schedules. Bay 101 reported $32.5 million in revenues for its first 10 months of operation, Sept. 1, 1994 to Jun. 30, 1995. In the same period, Garden City reported $19.4 million. The estimated yearly tax revenue to the city is $8 million. The tax revenues from Bay 101's first 10 months alone--$5.2 million--rival the combined tax revenues of San Jose's three largest shopping malls: Valley Fair, Eastridge, and Oakridge. DIEM NGO, director of the Vietnamese Volunteer Organization, and militant community activists demand shutting down the clubs. Others suggest restricting the clubs' operation hours. Hieu Tran wants to see advertising in Vietnamese magazines banned and preventive educational programs enacted. Huu Nguyen, director of Aid to Refugee Children Without Parents, has filed a lawsuit against Bay 101 seeking $1 million in punitive damages for the card club's alleged use of the organization's name for promotional purposes without its consent. In response to the outcry, card clubs have made a proposal to the San Jose City Council requesting more autonomy in providing service to known pathological gamblers and suspicious clients who may have criminal intentions. They also want the power to bar problem gamblers at the request of family members, a move supported by Vietnamese community leaders. The city attorney's office rejected the proposal on grounds of city liability. As far as the problem of child neglect is concerned, there was brief talk of opening daycare centers in or near the clubs. In May, the San Jose City Council voted unanimously to pass the Cardroom Gambling Voter Control Act. The primary function of the act is shifting the authority on cardroom expansion from the council to the voters. The act requires "annual reports on the effects of cardroom gambling on crime in the San Jose area" but does not look into the fiscal, psychological and social aspects of gambling-related problems. It also does not follow the Human Relations Commission's recommendation that, for the $8 million in tax revenues the city collects from both main clubs, "a strong education and prevention program on gambling be developed and promoted county-wide." "It's hard to see the city reaping all the benefits [tax revenues] without giving anything back to community," comments the county's Hieu Tran, who has written an anti-gambling article for a local Vietnamese-language newspaper. "I believe the city should allocate a small portion of the gambling tax revenues for preventive programs and counseling especially for the spouses and families of pathological gamblers." The sentiment is shared by the current members of the San Jose Vietnamese Chapter of Gamblers Anonymous (the first of its kind). It appears that many Vietnamese, unaware of the political machinery and unfamiliar with the names of their city councilmembers, lay the blame at the feet of the mayor, whose pro-cardroom voting record has been played as a political card by her adversaries on the council, Pat Dando and David Pandori, However, at the council meeting on the Cardroom Gambling Voter Control Act, the mayor (who neither supported nor opposed the proposal while it was put together by Councilmembers) came out in support of the act at voting time. EIGHT PEOPLE show up at a recent meeting of the local Gamblers Anonymous chapter. After first-name introductions, the meeting opens with members taking turns reading aloud the gambling recovery tenets from a GA pamphlet. Each member answers a series of questions which serve as admission of their own addiction. "Have you ever borrowed money to gamble?" "Have you ever gambled to forget about your worries or to solve your financial problems?" "Have you missed work in order to gamble?" "Have you ever considered embezzling money or stealing property from your employer to gamble?" The answers to these and 16 similar questions are all "Yes." The members are asked to explain their affirmative reply. The process is humiliating and acutely painful. Gambling critics, including these Vietnamese-American members of GA, point out that helping pathological gamblers alone is not enough because much of the damage has already been done. While the card clubs find pathological gamblers undesirable because they have little left to gamble, pathological gamblers become a liability for society. Gambling critics believe it is equally important that all prospective players be informed of the danger they face--not unlike warning labels on cigarettes--a concept highly unpopular with the gambling industry. Although attendance is low, it is still too early to judge the capabilities of the Vietnamese Chapter of Gamblers Anonymous, which started early this year. After being involved with the program for about six months, the meeting facilitator admits, "There is hope, but each person must truly want to change. Most people here are here on court orders." About his own struggle against gambling addiction, he thinks it might be a lifelong effort. The urge is still with him. It isn't simply the money that draws him. As with most gamblers, it's the competition, the mind game, the instinct game, the rush, and the feeling of invincibility during a good streak that are compelling--so much so that people report "blacking out" while they played or completely forgetting their personal problems and the time of day. "It will always be a struggle," he says. "I have the urge to gamble now. I can't say for sure if I will not gamble in the future. [Compulsive] gambling is a medically proven disease like alcoholism." One major difference is that gambling can bankrupt a person in one day. CONCERN OVER gambling crosses traditional political divisions in the Vietnamese-American community. Both the anti-Communist hard-liners and the pro-business Vietnamese-Americans (who remain and have been vehemently at odds over a number of issues ranging from trade to art) agree on one thing: gambling addiction is a major problem in their community. While Vietnamese magazines and newspapers still run large ads for the card clubs (including a recent front-cover ad for the new card club in San Pablo), they do run anti-gambling articles and keep the community abreast of the gambling issues at the city level. "Why do we always seem to have a group of people who are in the news making us honest, hard-working people look bad? I just don't understand it.... It makes it difficult to have a Vietnamese name and not [have people] associate it with crime, gambling and high-tech theft. What's our problem? ... We [Vietnamese-Americans] have so many bright people doing good things yet always have to be set back by these individuals. "If we as a culture band together and make these individuals somehow feel excluded, dishonored, and guilty ... maybe we can change the course of their destruction. ... We've got to address this. ... The bad always seem to stay in the minds of people longer than the good. I'm just so sick of hearing about these Vietnamese gangs in the news. ... 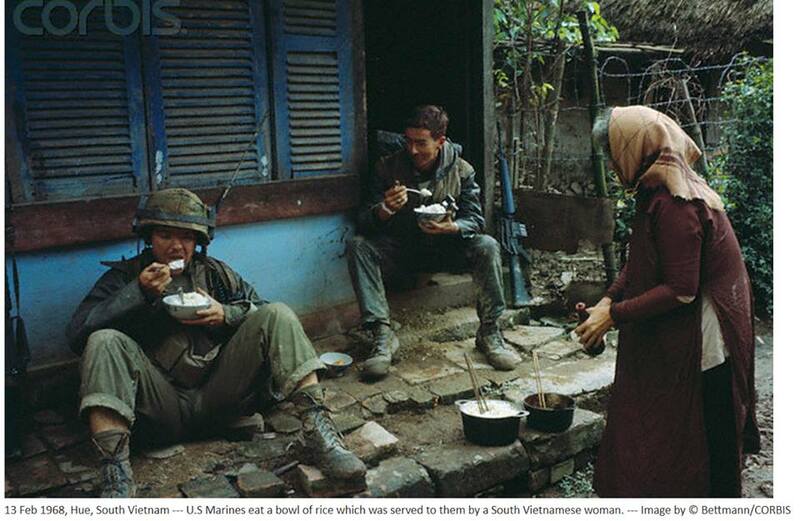 It just boils my blood to see this happen to the Vietnamese people." Ann Nguyen, an aspiring medical student, is upset: "I have never been in these card clubs. I work hard and study even harder, but I am affected by what goes on there just because I have a Vietnamese name." Hieu Tran says, "When I went to the bank to refinance my house, the loan officer asked me many detailed questions that I felt were very inappropriate. It was as though they suspected I was an addicted gambler." H. Pham, a software engineer, reports, "It's embarrassing to hear your colleagues talk about Vietnamese gangs and gambling stories in the news. I don't know these people [gangs and gamblers]. I don't identify with them, but I am ashamed. Maybe it's the way the media portrays it. Maybe if I were a second- or third-generation Vietnamese-American, I would feel differently." THERE APPEARS to be some possible levels of cooperation between the Vietnamese-American community and the two major card clubs. Nancy Williams, spokesperson for Garden City, says, "We don't want to see people losing their houses. Nobody does." According to Williams, pathological gamblers tarnish the club's image by attracting crimes which raise the cost of club security and make the club less attractive to the average player. This is a good move in light of the report released by Police Chief Louis Cobarruviaz in March. The report gives a general "analysis of the relationship between card clubs and crime." It cites 12 examples of criminal activities related to the card clubs: high-technology crime, loan sharking, auto theft, credit card fraud/check fraud, extortion, drug transactions, fencing stolen property, follow-home robbery, bank robbery, murder, intimidation and turf wars, and influence peddling. In late April, the clubs made a proposal to the city council requesting control over who they allow into their clubs. Williams says, "We want the power to bar people who are problem gamblers." She draws an analogy between a bartender and a card club to point out the clubs' lack of power over whom they can refuse to serve: "A bartender can force a drunk patron out of his bar, but he can't refuse to serve the alcoholic the next day when he comes in sober. We [the card clubs] can do neither." The clubs also want to bar people they suspect of having criminal links or intentions. The proposal was recently rejected by the city attorney office. In regard to this latest proposal and future developments, Williams says, "We are very interested in keeping communication channels open with the Asian communities." When asked if Garden City has any intentions of making cash contributions to nonprofit organizations to deal with Asian gambling addicts, Williams confirms that Garden City has not and will not make any contributions on the basis that it conflicts with the guidelines set forth by Gamblers Anonymous Association. She says, "We feel it is inappropriate for such organizations to accept money from a gaming establishment." When asked whether the city should pay for programs dealing with gambling addiction, Williams replies, "It is not our position to advise the city on how to allocate its funds." Both Garden City and Bay 101 have made conciliatory gestures toward the Vietnamese-American community. Bay 101 donated $50,000 to a counseling program, which currently provides four gamblers with a part-time counselor. Garden City, Williams says, has stopped advertising in Vietnamese newspapers with the exception of special events. But at the heart of the criticism from the Vietnamese-American community are charges that the clubs specifically target Vietnamese and Vietnamese-Americans. 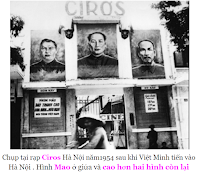 They cite as evidence the clubs' advertisement--particularly Bay 101's aggressive campaign--in the Vietnamese media, both clubs' extensive menu offerings of Vietnamese dishes at very competitive prices, and the clubs' free Vietnamese entertainment. Realistically, the clubs' prosperity--if not survival--depends on the Asian community, particularly the Vietnamese community. An Asian pit manager, who is a former pathological gambler, says, "Neither Bay 101 nor Garden City can survive without Asians. No way. One of them might be able to make it with a regular crowd but there's not enough for both." So the clubs woo their patrons. IN MANY CASES, their patrons are appreciative. The thrill of the game and the camaraderie among players and dealers are welcomed by players. Those who don't consider themselves as having a gambling problem are generally very happy with the services provided by the clubs. Tung L., a retired Vietnamese-American machinist, says, "I'm glad this place [Garden City] is open. I come here twice every week, Friday and Saturday. ... I bring 'x' amount of dollars every time and I go home when I lose it all. Sometimes I win. This is like going out for me. I'm old; this is what I like." Binh D., a twentyish Vietnamese-American, who frequently takes his date to Bay 101, says in Vietnamese, "It's cheaper to go here [Bay 101]. It's expensive to go to a nightclub--ten, fifteen dollars a ticket. Here it's free and the drinks are cheaper. You can get pretty good and cheap Vietnamese food here too. And it's pretty." In aggregate, the lures are especially strong for new immigrants. Chinh V., a recent immigrant in her early 30s, says she does not have any recreational activity. She does not understand American sports such as basketball, baseball, football and hockey. She doesn't know anyone who does. Her English is not sufficient to enjoy American and foreign movies. Exercise and sports are not a part of her culture in Vietnam. She holds a low-paying job and can not afford to travel. Consequently, she spends most of her free time at the card clubs. Chinh explains in Vietnamese, "My apartment is small and my whole family lives there. It's hard to relax at home." Chinh learned to play cards as a child in Vietnam. Chinh says she immediately felt at home at the club because she knows how to play. She is comfortable because the dealers are Vietnamese and language is not a barrier for her. When asked if she has ever played to ease her financial difficulties, Chinh chuckles softly and replies, "I make $5 an hour. Of course, I play to win." Most of the time, she doesn't. Neither do most gamblers. It is the nature of casinos and card clubs to come out ahead of their patrons. Unlike casinos where gamblers play against the house, card clubs collect fees for the service of a dealer who also acts as the bank for the players. Still, the fee for each hand played is about $1 for each player. The house can deal anywhere from 20 to 30 games per hour per table. So, even if a player "breaks even" after two hours of play, he would have already paid roughly $50 to the house in fees. This applies to every player at the table, win or lose. The odds are heavily stacked against the players, yet when the establishment is accessible, physically and culturally, the attraction becomes strong, especially to those least economically secure-and in the case of the recent Vietnamese immigrants, the least socially and culturally secure. Many realize too late that the games in the card clubs are nothing like the games they've known. The stakes are deliciously high, the excitement wildly contagious, the dangers deceptively obscure. Fred, the professional gambler, knows one thing for certain: "This place will make you cry, man. No matter who you are or what you do, this place will break you down. It'll make you cry."